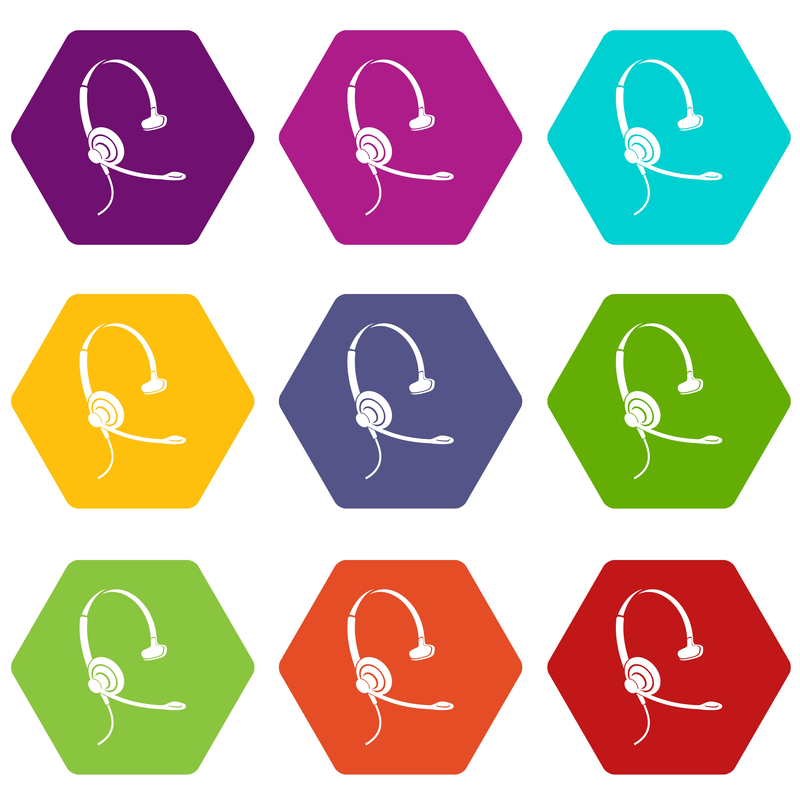 Tip For Tuesday - What Sort of Headset Should I Use? What are the key elements of a successful online lesson? Of course, you’ve got a well-structured and interesting lesson plan, you’ve got a passionate teacher and a ready-to-learn student, and – importantly – the right technology to help you along. Clear audio technology means Breadies can fully hear your intonation, pronunciation and grammar use – and vice versa, you can hear all the mistakes they make and can easily correct them. When you can’t hear your student, or they can’t hear you properly it can be frustrating, distracting and demoralising for everyone involved. This week’s #TipForTuesday is all about what you should think about when planning the audio side of teaching; looking at whether you need to invest in a microphone/headset, and which ones are reasonably priced. First of all – is your in-built microphone and speaker set good enough? Nowadays laptops and computers come with decent in-built technology meaning that you may not need to invest in anything at all. Before beginning teaching, try testing the set first to see whether the sound is clear, the volume is good, and there isn’t too much background sound being picked up by the microphone. If you’re new to IQBar, you may want to ask in the training sessions whether your trainer thinks the sound quality is good enough. Teaching at IQBar could mean wearing the headset for hours on end so it’s best to think about how comfortable you’re going to be throughout sessions. Look for an easily adjustable headband with a good amount of padding for the ears. When you’re teaching online, there is often a lot of movement involved, be it gestures, waving a whiteboard around or dancing. When choosing a headset or microphone, make sure it comes with an adequate length cable so you can move freely. If you feel like splashing out, you could also consider a wireless headset which would allow ultimate freedom of movement – however you would need to remember to keep it charged, particularly if you’ve got a number of days in a row where you’re teaching consecutive hours. If you are considering a wireless set, it is recommended to pay a little more for good quality as the lower priced wireless models often run into problems with battery life and signal strength. One of the biggest benefits of using a headset or microphone is that the closer proximity to your mouth means a clearer sound and a reduction of background noise picked up by the laptop speaker. A lot of headsets nowadays, including the MPoW PC Headset and the Logitech H390, come with noise cancelling technology to really cut out the background noise of your neighbours on the phone and the dog outside. Whilst this is a good feature, as long as you’re in a quiet space noise cancelling technology is not vital as the microphone on the headset should be sufficient. Think about where you’re going to be teaching and what background noise could affect your class. Alongside the Bready’s need to hear you, you also need good quality sound to make sure you can pick up intonation and pronunciation. This is particularly important if you’re in a place with a background noise. A quick scroll online will show you that there are hundreds of models and makes to choose from. Logitech has proven to be one of the biggest names when it comes to headsets with a whole range of gaming sets through to smaller, business related headsets. Whilst the gaming sets provide optimum comfort, designed for those who are planning gaming marathons in front of the computer, their bulkiness makes more less effective for expressiveness and movement. Logitech H390, which is on Amazon at £17.90 currently and reviews are overwhelmingly positive. This is a very popular model within the online learning community and widely recommended. There is also the wireless H800 which is a comfortable model, however some have complained that with constant use, the headset loses its ability to charge and the battery life decreases. It can be found on Amazon at present for £44.99, a little more expensive than its wired equivalents. Another popular headset in the midrange, the MPow 224 remake comes with glowing reviews for its sound quality and design. At £20.99 you won’t be breaking the bank for good sound quality and long-term use. The model comes with highly padded earmuffs and easily adjustable frame making it one of the comfiest headsets. Another very popular brand and model within the teaching community, the Plantronic headsets make voices sound as clear as day and are highly comfortable. A little more expensive than the other headphones we’ve seen so far – coming in at £32 – the little more money might be worth it for the excellent sound quality.